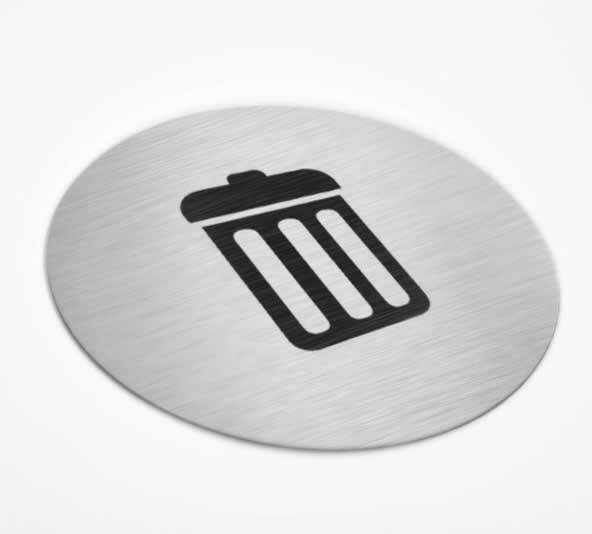 Round metal trash signs are great for labeling garbage bins in your office space, medical facility, school, hotel, or shopping center. 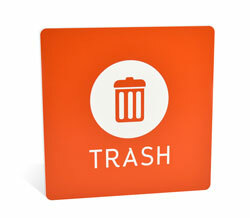 Signs are 0.020" thick aluminum and include a 1/32" black acrylic backer cut flush with the metal to provide support. 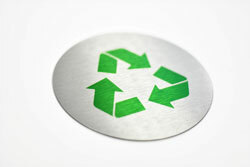 Choose from a glossy white metal or a brushed silver or brushed gold aluminum in a variety of sizes. 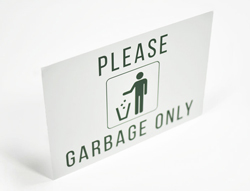 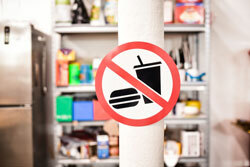 Sign includes the standard black trash symbol as shown in the main photo and will subtly let people know where the trash bins are in your dining area, break room, restrooms, shopping center, or school. If you require a size not listed here, contact our customer service team via e-mail at service@officesigncompany.com or via phone at (701) 526-3835 with your details. 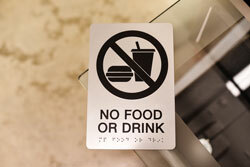 Note: Sign is intended for indoor use only.